You know my mantra, ‘Look Up”. In this instance, I was looking down. And I really loved what I saw, and where I was standing. So much history in Rome. No wonder it is called the Eternal City. I can’t help but think which of the famed Emperors walked in this place, or, how many chariots passed over the spot where this image was taken, not 50 meters past the Pantheon. Thousands of years old, laid down in beautiful symmetry, the light and shadows created by the surrounding building captured my attention, outdone only by the thought that I am standing in the place that Caesar once stood. Posted on Wednesday, November 16th, 2011 at 8:45 am. 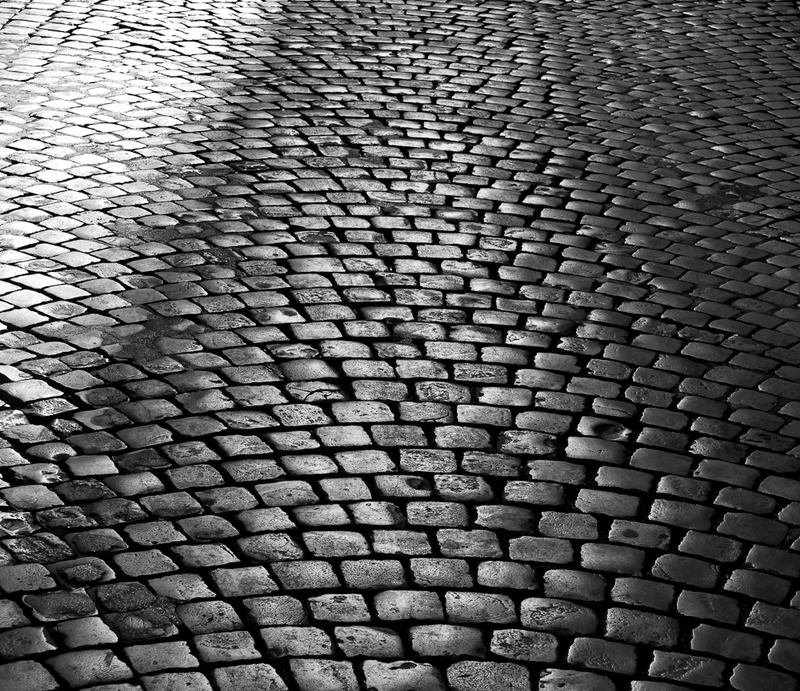 Filed under: Black & White, Streetscape Tags: cobbled stone, Italia, Italy, road, Roma, Rome, shadow	RSS 2.0 feed. Very good look! Love the tones and how you give that metal shining to your BW shots! I heart cobblestone. Also love BW. Nice work!